Finland representation in the European Parliament will remain unchanged even after joining of the new comer Croatia to the European Union Parliament. The number Finland members in the EU parliament is presently 13, which will not be reduced after the reshuffle in the EU parliament membership. The EU is planning to reshuffle the parliament seats and the parliamentary Constitutional Committee already conducted voting on Tuesday in this regard for the term 2014 to 2019. The 751 seats of the House are calculated in accordance with the reform of the Lisbon treaty and 15 seats from the different member countries will be reduced. The largest country in the EU, Germany is losing three seats on the reform while twelve other countries will lose one seat each. Croatia is due to join the EU as 28th member in next summer when 4.5 million people of the country will come under the umbrella of the union. The new member, Croatia is, however, expected to have about 11 seats in the parliament. Earlier, Croatia has completed its accession negotiations with the European Commission and a target date of 1 July 2013 has been set for it to join the EU. 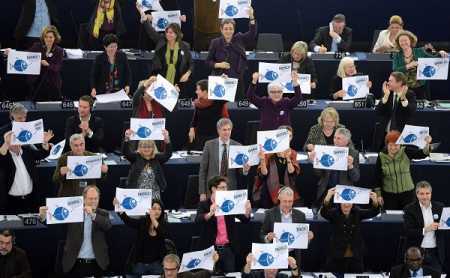 The European Parliament gave its consent on 1 December 2011. Croatia will be the second ex-Yugoslav country after Slovenia to join.